We have all experienced the passing of a loved one and the challenge of what to do with all of their stuff. Wendy is providing a solution whether it is clearing out a home for the Estate or just couples or individuals wanting to downsize - she will come in and provide a variety of services to assist in clearing out the home. She will help in seling - junk removal - donations of materials to thrift shops. If this is something that you are a friend or family member need to know more about just give Wendy a call. Don't shoot the Messanger - Shubenacadie Sam predicts six more weeks of Winter. It was a crisp -13.5 degrees when Sam appeared. The sun was shinging and Sam saw his shadow. A good crowd and lots of media attended - face painting - hot chocolate - lots of fun. For years the Gray Apartment building sat there un used. It was refurbished and then never lived in. Last week was interesting to see Transportation, Infrastructure and Renewal the owners of the property took down the old building. What a change it made to the visual of the corner. There has not been any announcement yet as to wht their plans are for that corner. It is expected they will do something to assist with the traffic flow around the corner. Are you ready - Your Hay Days / Canada Day committee have been working hard getting ready and exciting Day of Celebrating our Countryies Birthday. Wow the Business Community has come out with big time support for our Hay Days / Canada Day sponsorship for 2018. A special thanks to each one of you. Please suppoort these sponsors in the community. Your Hay Days Committee has been working hard getting ready for an exciting Canada Day /Hay Days Celebration. July first their will be full day of activity. Check out the Posters that are up around town and will be posted on the website the first of the week. The Village of Shubenacadie has many groups and organizations that are able to operate because of the faithful volunteers that help. Right now there are some Volunteers needed - do you have a little time that you could invest in your community. We just heard about an exciting event being hosted by the Shubie Ladies Legion Auxillary. They are taking on a wonderful project of "Re-Purposing" the Rememberance Day wreaths into Christmas Wreaths for families that might not have one. What a GREAT IDEA ladies. They are inviting crafters of all talent levels to come and enjoy a mornign with friends and neighbours to create this Christmas masterpieces. You don't have to be an experienced crafter - just come and bring your glue gun and some creative ideas and you can be part of this. Our friends and the Shumilacke Food Bank are gonig to distribute them for the group. Cathy & Sandy Flemming (902-758-3939) are taking the lead on this if you have any questions. Way to go SHUBIE another way to suport those a little less fortunate at this wonderful time of the year. See you at the little park next to the RBC - corner of Main St. & Mill Village. The Tin Shop Museum is planning an exciting event for Pokemon Fans. We would like to welcom a brand new business to Shubie. ​Regained Relics Antiques & Collectables - ​has opened in the former Yummy's Deli. Wendy Tanner is the owner and is excited to bring her new business to the Village. She offers a wide range of Antiques, Vintage Items as well as repurposed and Painted Furnature. They also sell a wonderful line of Paint and products in the store called Fusion Mineral Paint and she is starting to do Workshops with these products. Well your Hay Days / Canada Day committee were dancing over the weekend trying to provide an exciting celebration around the rain that just wouldn't go away. Most of the activities did happen and were enjoyed but pretty good crowds. ​The Hay Days / Canada Day committee did an amazing job again this year and we give them our thanks. Shubie Pizza Randy and Marcia and there crew put on a fun Pizza and Jell-O eating contest as well as getting the pool open. There were so many working the check in areas - Keith and his team retreiving the rubber ducks from the river. Alan and his team with the Classic Car Show - United Church with the BBQ and Strawberry short cake in the rain. The Fire Department for the Parade that was amazing even in the rain and then the Fireworks were awesome again. Neil & Christine with the hall - Betty, Donny and Marilla helping where ever needed. Councillor Pam jumping in where she was needed. There were so many more and we want you to know our community appreciated your help soooooo much. Volunteers worked very hard and were kept dancing trying to guess what the weather was going to do next. How about that Parade - it was an amazing effort by all. Lots of great floats - good crowd all the way along. It is hard to imagine Marilyn was leading the Tin Shop Museum Team in preparations for a new season just 6 weeks ago... She was a fighter to the end... Also providing instructions and directions to her two Tin Shop buddies Jeanne and Betty. Marilyn owned and operated Marilyn's Beauty Salon and the Family operated J-Mars Gift Shop. She was a talented Artist and Crafter and you can still see her work in the Craft Shop at the Tin Shop Museum. Donations and Volunteers ​- still needed for Hay Days / Canada Day Events in the Village of Shubenacadie. This is a great couple of days of community activies that the whle community enjoys. The Shubenacdie Tin Shop Museum and Craft Shop - will open to the public Wednesday May 17... Everyone is welcome. The Tin Shop Team is looking for additional volunteers this year. If you would like to come and be part of this exciting project - give them a call (902-758-1900) - if you would like to help out 1 day a week - 1 day every couple of weeks - they could use more greaters - tour guides - craft shop workers. ​Storytellers ​- they are looking for some creative people that wuld like to come and study the history and interesting stories of the Village - then be able to share them with individuals and groups that visit. If you have not taken the time to visit this facility it is a MUST SEE... bring your guests that are visiting as well. Are You a Crafter - they have room for a few more crafters to come and get involved as well. ​Registration area is by Hwy # 2 Stewiacke - on the Stewiacke River portion. Bring the whole family and have a GREAT day of fishing. The Craft Store is also opening and there is a wide variety of great new products. The Tin Shop and Craft Store are open 7 days a week from 10:00am - 5:00pm. You are invited... ​to come and be part of this exciting project - learn about our History - See Thousands of Artifacts - you will be amazed by all of the neat stuff. They need Volunteers - ​Do you have a few hours a week or every couple of weeks - come and have some fun - do ypu like Story Telling - Greeting People - being part of a team... they could welcome you onto their team. With the 100 Anniversary of Canada's tremendous contribution at Vimy Ridge the Tin Shop Museum in Shubenacadie has dressed their showcase window with a wonderful presentation. Quite a number of young people from Canada and some from NS and even our area..
Marilyn Babineau Doucette and Betty Stonehouse worked hard on that project this morning. The final of the three information sessions on the future of our elementary schools - Maple Ridge and Shubenacdie Elementary Schools. There was a good crowd in attendance to here the recommendations of the committee. There were three information sessions and the committee really listened to the community and their commnents and recommentations. There was much infomration gathered - Updated population information - Projected development to the corridor area - Input from the Chamber of Commerce - discussions with developers. The announcement of the new exchange at Lantz will advance the development in the area significantly. 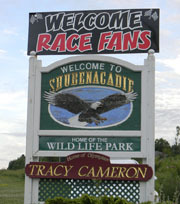 There is the expectation that Shubenacadie will have some new growth over the next few years as well. The committee has recommended that both schools remain open and swome re-distribution of the schools be completed. It was welcome news to all those that attended - the 2,000+ people that signed the petitions. The recommendation will be finalized and submitted in mid-March. It Snowed and it Blew and Blew some more…. Well we were thinking we were having a pretty soft winter.... Then this week happened. I posted on my Facebook yesterday morning a photo outside and said well it is not too bad yet. I think someone was listening. Celebrate Thursday, February 2, 2017-Groundhog Day and World Wetlands Day. Starting at 7:00 am with Shubenacadie Sam making his appearance and prediction at 8 am sharp. Will we have an early spring? Watch him make his prediction and have a free hot drink. From 8 am to 12:00 pm there will be lots of activities including crafts, face painting and wetland games. We will be joined by our many partners who showcase wildlife and habitat. The wildlife park is a window into the world of wintering animals in Nova Scotia. The animal enclosure area will be open from 8:15 am to 12:00 noon and free to all visitors. Please call 902-758-5316 after 6:30 am to ensure the facility is open as inclement weather or unsafe conditions may cause events to be cancelled. The whole community is invited to our Shubenacadie Christmas Tree Lighting Ceremony. You will see the beautiful tree from Scothorn's Tree Farm already up and ready for the season. it is in the little park beside the RBC. The Shubenacadie Fire & Emergency Services - volunteer to help out with this exciting event. They get the tree - set it up and decorate it with the lights. A special thankyou to all those that assisted in the programs for our Shubenacdie Remembrance Service and Dinner. Our Shubenacadie Legion and their team of volunteers do a great job with these events. Let's continue to remember all year long and provide friendship and support to those veterans living in our community. East Hants Election Results are in. We would like to Congratulate Pam MacInnis on her election to represent Shubenacadie and area. We look forward to her leading our Village into the next phase of devleopment. Help us get back on track with reversing our declining population. We stand behind you Pam and wish you the very best in your efforts on our behalf. Thank you Albert - we also want to thank Albert Flemming for his years of service to our community - as Councillor - with his hard work with the United Church - the Legion - the School and many other projects. He has shown true commitment to our village and for this we are thankful. We also wish you good health as you work through some of those issues. Thank you Kim Williams for offering your name as a candidate, your hard work, time and the cost to assist with the democratic process. Kim you have been such a community supporter, helping with so many projects, Canada Day, most recently your leadership and help with the new Picnic Pavilion in the Park. You have been a true supporter of our Village over the years. Thank you for all you do. As a community we all need to do our part to make Shubenacadie a better place to live. We need every family, every person to find ways that they can assist. Make us stronger and better in all we do. You will hear more as the project continues... We still have to apply for the funding. Shubenacadie, Nova Scotia (Wednesday, August 10, 2016) -- At a time when the words now or never are regularly heard or read in the media and the province's Ivany report is calling for a 50 percent increase in business start-ups, it is a welcome sight when a new business opens in rural Nova Scotia. Owners John MacIntyre and Andrew Buffett recently transformed a long-standing drugstore into two retail spaces. They made room for their new Shubenacadie Trading Post on the main street of this farming village about 60 kilometers from Halifax and 30 kilometers from Truro. The pair are part of the ownership group Associated Maritime Pharmacies who have been in the pharmacy business in both Nova Scotia and New Brunswick for decades. Business closures are becoming common in Nova Scotia, especially in rural parts of the province. So it's a bit of a novelty to see people from a small village buzzing about a new store. "The reaction we have been getting is overwhelming, there has been nothing but positive feedback," says local resident and manager Debbie Sexsmith. "People from the community are very excited. The first day we opened, a local lady came in and bought a jacket saying normally, she would have to go to Halifax or Dartmouth for this." The Shubie Trading Post is serving outdoor enthusiasts, tourists and the local community with seasonal apparel and footwear, camping and hiking supplies and well-known brands. It is a natural fit for this community with a rich heritage in farming, the well-known Shubenacadie River and neighbouring Sipekne'katik First Nation. The new store will host a grand opening with sales on well-recognized brands, contests, product demonstrations and fun activities on Saturday, August 20 from 9am to 5pm. The local Lions Club will offer a barbecue with proceeds going to their projects. Shubenacadie's landscape, natural surroundings and wildlife provide a source of livelihood and enjoyment for the rural dwellers. And lately, more weekend explorers from the city have been venturing there as well. Motor heads come to the nearby Atlantic Motorsport Park as well as hikers, kayakers and a rising number of tourists try out nature's rollercoaster ride, otherwise known as tidal bore rafting. The Shubenacadie Wildlife Park is always a draw for families and lately, Pokémon Go'ers have been busy searching for the more than 20 stops in around the Park and village. Locals and visitors alike enjoy the new cafe´ with trendy, organic coffee from Lunenburg and ice cream that a local dairy farmer most likely had a hand in producing. The Trading Post supports Maritime artisans and crafters by providing a convenient location for handmade trinkets, treasures, lotions and potions. "As pharmacy retailers, we are charting some new territory here, " says Andrew Buffett. "It's been a lot of hard work getting things up and running and we tried to engage the staff as well as neighbouring businesses and Sipekne'katik in our planning and product offerings. It's been satisfying to see the local community embrace the Shubie Trading Post and we hope to grow that excitement beyond the area." Typically, when you head out to Shubenacadie, green pastures speckled with dairy cows, red and white silos next to sturdy-looking barns rise up on either side of you. Glimpses of the historic river and its rich reddish brown banks come in to view and somehow, the sky seems bluer. Now, when you end up on the main street in the small village, dotted on either side with the typical post office, bank, drugstore and doctors' office, that's where you will find something new - The Shubenacadie Trading Post. Penn Hills Golf Club is hosting the prestigious Canadian Junior Girls Golf Championship August 2-5, 2016. Tanner Gayton Head Professional at Penn Hills said "we are thrilled to welcome Golf Canada and this special Championship to our course and Village of Shubenacadie." Everyone is envited to come out to Penn Hills and watch this exciting event. Do you like speed... Competitiion... Lots of action.. This weekend at Atlantic Motorsport Park in Shubenacadie the National Superbike Championships are in town. There are two big days of racing - Saturday and Sunday this weekend. There is a full weekend of activity. The public is welcome to come out and enjoy the weekend. We are excitedly working to get the final touches on everything for Canada Day. There is sooooooo much going on you won't want to miss any of it. The Businesses in the community have provided very strong support as well. Please shop locally. Many individuals and famillies also contribute to this special weekend. THE VOLUNTEERS - imagine about 100 volunteers have been working since January to put on this special day - when you see them say thanks..
Canoe to the Sea is comiong up this weekend. Sunday June 19 travelling from Maitland NS to Shubenacadie. In years past 80 - 140 canoes and kayaks have participated in this exciting event. It is a family affiar as well - there are competitive paddlers as well as pleasure just for fun paddlers. You wan watch the Launch in Maitland - then visit the viewing point at South Miatland - then be in Shubenacadie to see them arrive at tyhe dock in River Park. There will be a lot of great opportunities for fun all day. The Shubie Fire Department is telling us the Fireworks will be the BEST EVER for our Village. People from all around the region come to see them. The Shubenacadie Tin Shop Museum is getting ready for another exciting season of welcoming guests to our community and the history of our Village. It is that time of the year again when Marilyn and her Team are looking for a few good Students to join them for an interesting summer telling stories about our Village. They are looking for a couple of College / University Students to start work May 15 running for 14 weeks. Also a couple of High School Students to start July 1st for 8 weeks. Was great to see Shubie on TV again this morning. Cyril Lunney and is CTV Morning Live team were at the Tin Shop for a shoot earlier in the week. 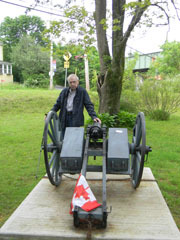 Earl Doucette led Cyril in some activities working with the tin. As always Cyril makes it fun and interestnig. Marilyn Doucette. Martha Doucette, Jeanne Miller and Betty Stonehouse helped out introducing some of the different features of the Tin Shop Museum and the Craft Shop. Great job Marilyn to get this extra publicity for our Village. There is an IMPORTANT COMMUNITY MEETING - to be held on Tuesday October 27 at 7:00pm at the Shubie Legion. This meeting is to talk about the need for GROWTH in the Village of Shubenacadie. We have had almost no growth in the Village over the past 10 years. This is becoming a very real issue for us as it is now starting to impact our ability to sustain life in our community - Churches - Schools - Businesses - Community Clubs and Organizations - Sporting Groups are all being challenged to survive. We are at a strategic time that we have to decide if as a community we are going to not only support but fight for new growth for Shubenacadie... There is an interesting opportunity right now with the release of Snide's Lake from its protected water service designation. We are hosting this meeting on Tuesday to bring together the comunity to look at some interesting options. Creating an Active Lifestyle Community around Snide's Lake - taking advantage of the attraction of the lake - create trails - water front activities - other recreational things as well - there is nothing like this in the Enfield Truro Corridor. This could be a GREAT opportunity for Shubenacadie to reverse the declining population. What a GREAT Hay Days / Canada Day event here in Shubie on Wednesday. The weather was perfect. The Events and Activities were awesome. The crowds wee amazing. From the Gospel Concert Tuesday night to the best ever Fireworks display Wednesday night it was an action packed time. We have a GREAT day of fun activities for the whole family. Many families also contributed to this GREAT DAY. We will all meet at the Shubie River Park by the Ball Diamonds at 8:30am. Volunteers Needed - Park Cleanup day June 20th - bring your lawn mower - weed wacker - rake - shovel - cleaning stuff - help us give our beautiful park a real spring cleaning. Chierf Wayne Green and the Volunteer Fire Department in Shubie we full of excitement that last couple of weeks welcoming the newest member to the Fire Truck Fleet. This state of the art vehicle has all the technology to assist them to more easily fight fires in the area. This new vehicle has so many built in features - GPS locators - holding pool for water - pumping capa bilities - ladder that is brought down by hydrolics to make it easy to take off and put on the truck. They have been working hard to get it ready for the road. Notice the creative Canadian and Nova Scotia Flags graphics on the one side. Great to see them get the equipment they need to be better take care of our community. If you woul be interested in hearing more about becoming a volunteer they would love to hear from you - call 902-758-2222. The landscape in Shubie has changed a little today. No not just the melting of the mounds of snow. The large green MacInnis Barn was leveled today. There was a concern that with it so old and dry that if it ever started on fire it could cause a disaster. In chatting with Pam MacInnis today she said the contractor Carl told her he was going to start the demolition today. She drove over after work and was VERY surprised at what she saw or didn't see. Both barns were leveled and mostly cleaned up. Here are a few photos of before and after. Dr. Ross and Madelline MacInnis have been such an important part of our community for so many years. Take a look as you drive by over the next week or so - or w hen you drop in the Village Bakery (re-opening again Tuesday) - or visit the MacInnis Trail. Hard to imagine but they will be getting ready to open the Tin Shop Museum and Craft Shop in the next 45 - 60 days. They have a wide variety of arts and crafts from local artisans that will be enjoyed by all that visit. The Museum itself really showcases the History of Shubenacadie and many of the people that made our special Village. It is well worth the visit and when you have guests visiting take them down for a look. The Municipality has decided that the protection of Snides Lake for the Villages water supply is no longer required so they have asked the URB to allow them to remove the designation. The Village is been stalled for growth for some time now. The lack of any additional capacity for water and sewage was an issue. Now the water supply is excellent and there is lots of capacity. On the sewage side there are opportunities with new systems that will allow for on-site smaller systems for new development. The Municipality owns 100 acres around and including Snide's Lake. It would be an ideal place to create an "Active Lifestyle Village" around the lake. I would allow the community to freshen up the lake and make it a great recreational lake with canoes, kayaks and paddle boats. The idea would be to create a designed community with possibly one side of the lake as 50+ Residences - single family, duplex and townhomes - possibly 50 - 60 units - with that part create a social Centre gathering place, lawn sports, deck by the lake, fire pit maybe an Amphitheatre. On the other side of the lake create a Family Village with mainly single family homes. Play park area, walking, jogging, biking trails around the property. Again with 50 - 60 homes. There is Municipal water supply right there and we could build an on-site sewage system to handle the development. To attract new residents to the Village we need an Attraction Development and Snides Lake is ideal - close to the down town - close to the Hwy 102 - the natural beauty of the lake from Village. It is also ideal for the 50+ Development to allow our seniors to have a nice place in a wonderful setting around the lake right here in Shubie. We have sent a presentation to the Municipality asking them to consider this type of development for the Snides Lake property. Tell us what you think, your ideas and suggestions. Would you be in favour of a project like this. What would you like to see included. What would you like to see different. It is still in the early stages and we need to encourage Council to support the Village in this. The Annual Christmas Tree Lighting will take place Friday Dec. 5 at 6:00pm in the little park by the Royal Bank. The Shubenacadie Fire & Emergency Services is hosting the event again bringing community groups together to put on a special event. This years Christmas Tree is dedicated to Former Shubenacadie Fire Founding Member - Earle Tanner - he passed away this passed October. He was the one that picked out the tree every year for this special event. The Food Bank - please bring contributions for the Food Bank - Mill Village Church will be collecting donations at this event. Town Cryer - Anita Benedict will bring a cheery Cry and do the official countdown to the tree ligthing. We encourage everyone to bundle up and bring the WHOLE FAMILY down and share this wonderful time of year. November 11, 2014 Remembrance Day - was a very special day in Shubenacadie as it was across our country. With the recent loss of two young Military Men in acts of terrorism we were all even more impacted than normally for this commemoration. It was a perfect day with +12 degrees and a wonderful crowd of about 500 filling the Main Street. The honour guard parade lead the Community as they marched down Main Street to the Cenotaphe. Several organizations - Legion - RCMP - Cubs, Scouts, Brownies, Cadets and a number of others walked and carried flags. The Hants East Rural High Band was a very nice addition this year for the music. The United Church Choir lead in the singing. Comrade Bob Smith on be half of the Legion lead the Ceromonies - Pastor Martin Reid brought a thoughtful meditation and lead in prayer. After the two minutes of silence a young lady name Romi recited In Flanders Fields - she did an excellent job. Wreaths were placed on behalf of families, groups, organizations and businesses. There must have been more than 40 of them. We would also like to express our thanks and appreciation to our living Veterans as well as those in active duty. Thanks also to the Fire Department and the RCMP for keeping the Ceromonies safe. In most regions of our country Rural Communitioes are struggling with the ability to maintain their population or attract new residents. The Youth are moving away to find jobs and seniors are moving to larger areas that can provide the housing and services they need. The reality for Shubie is that we need to attract about 100 new homes over the next 4 - 5 years to be sustainable. It will breathe new life into our community. Re-invigorate the business community - our school - churches - Legion as well as our social and recreation programs. The Municipality has told us it will cost $4 - $5 million to replace the current system - this is an impossiblity for a Village our size. There are new and interesting alternatives. Smaller new technology systems that would provide service to 100 - 125 homes for a cost in the area of $300,000 - $400,000. This would make sense for a new development. The challenge is that we need a large enough development to justify even thsi expenditure. The Development will pay for it so need that 100 - 125 homes. There are two key areazs of need in the Village - 50+ or Seniors Housing - Townhomes -- Duplex Units - smaller Bungalows - people wanted to downsize - have a nice home in their community - with full Maintenance Free Living - some with ownership and some rental units. The second group is single family homes again with a variety of sizes and costs - providing some new home options in the Village. We know already to simply build a subdivision on a parcel of land in or around the community is not going to attract outsiders from HRM or the Corridor area to consider Shubenacadie. Shubie needs an attraction - to build the development around - Golf Course - River Front - Lake Front - with Active Lifestyle Options - something that would make the home buyers to choose our Village. It will be important to protect the lake for all residents to enjoy and use - will need to be nursed back to better health as a lake - would recommend it remain in the ownership of the Municipality - with a 10 - 15 meter buffer around it - create walking / jogging / biking trails - docks to launch canoes / kayaks / paddle boats. A new development would be able to provide the resources to create this type of park like development - pay for upgrades as well as ongoing maintenance with a significant amounf of new tax revenue. Would expect it would generate $250,000 - $350,000 in Municipal taxes. The Municipality is going through a planning process at this time. We as a community need to speak strongly to thios process sharing that we as a Village need to grow. We need to let them know are ready to support this kind of growth. They are also working through a process to decide what to do with Snide's Lake - we need to share with them that it is likely one of the best opportunities for the Village to Grow - a wonderful Attraction Property - with the size and capacity to attract that 100 - 125 new homes. We need to get as many residents in the community as possible to suport this concept to allow our Village to Grow - send us an email of your support (info@shubie.ca) or sign one of the documents in stores in the Village. We must take action now - or we will be challenged to - keep our school - our churches - the Legion - the wonderful businesses we have in the Village. On October 11th Shubenacadie lost one of its Patriarchs - Dr. Ross MacInnis. He was passionate about his community and the people in it. His actions over the years tells this story, making house calls long after most doctors had stopped - the health care he provided to the Village as a Medical Doctor. When we were celebrating Olympic Athlete Tracy Cameron - Doc MacInnis (as he was affectionatley known) in his greetings shared that he was the very first person to every see Tracy. Dr. MacInnis worked as a Municipal Councilor and was the driving force behind Shubenacadie being one of the first smaller communities in the area to get Water and Sewage. He sat on many boards including School Board as well as others. 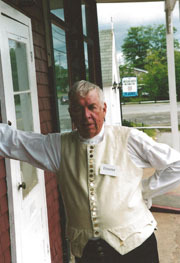 He was one of the founding members and leaders on the creation and development of the Tin Shop Museum in Shubenacadie. He contributed and supported that project for years - he and Gerry Williams were the best story tellers making the history of Shubenacadie interesting for anyone that would listen. The MacInnis Trail was another act of kindness with donating the land to provide the Village with a beautiful nature trail for families to enjoy for years to come. For so much of what Ross has done - the Community and its residents have benefited. His wisdom, insight, fair and balanced approach to opportunities and obstacles alike and his passion and dedication to Shubenacadie will be greatly missed. Saturday we enjoyed the opening of the new Event Stage / Snack Bar / Washrooms at the Park by the Ball Field. The Old Ball Building was totally renovated and an Event Stage was added t othe back of it facing the Ball Filed. We enjoyed the HERH Band under the direction of Bruce Campbell - they played for the singing of O' Canada - then some other great music. Ged Stonehouse thanked those that had worked hard to make the project happen. Margaret Miller - our MLA brought greetings from the Province and then cut the Ribbon officially opening the facility - Margaret told a story of how much this park meant to them as kids growing up on the farm just out side of town. This Saturday October 4th at 4:00pm. We would like to invite everyone down to see the new Shubie River Park - Event Stage. It is part of what was the old ball building - it has been totally refurbished and will have - Washrooms - Snack Bar and this new Event Stage. Shubie will now be able to host Concerts in the park - Canoe to the Sea - Canada Day - Ball Tournaments and much more. We are hosting a ribbon cutting ceremony and refreshements. We would like everyone to come down - bring a lawn chair to sit in the field - listen to the Music from HERH - the official thank you to those groups that contributed. Tell your friends - put it on facebook. What a transformation of this old Ball Building into a wonderful new facility for our Village. The Shubie River Park Event Stage will be a great asset to host all kinds of special events - Concerts - Canoe to the Sea - Canada Day - Presentations. This has taken a lot of work by a lot of people and for that we are thankful. We stil have some finish work inside the buiding and would love to have some volunteers that would help with painting - installing the kitchen cupboards in the Snack Bar - finish up the washrooms. We could also use some cash contributions as we are a little tight to finish everything up - would love to raise about $1,500 - if you can help call the same number. We hope to have a ribbon cutting / opening in the next couple of weeks. With every renovation - first comes the dismantling of the existing project. The old Ball Building in the Park has been an eyesore for quite a number of years. About two years ago we were touring the park with Dan Chassie from Halifax C&D, they did the marvelous job for us on the drainage in the park - Pam MacInnis the councillor at the time mentioned how bad that buidling looked. Dan immediately said " Would it help if I provided new siding and roofing for it from my Scotia Metals company". Well that spark started this whole process that is finally underway. Tear down team - Richard Ashton and his team - Andre, Brent, T.J., Cameron and Johathan worked VERY hard Friday, Sunday and some on Monday to tear the top off that old building. It was a big job and we needed this kind of volunteer help. What an amazing job they did. See the photos of the old buidling. Over the next two weeks keep your eyes on the project - and if you have some buidling skills and would like to help come on down for the re-build. Derek Taylor is leading that charge. When complete we will have the Washrooms, Snackbar and Ball Storage building with a new metal roof and siding - we will also have an Event Stage on the back of the buidling facing out to the Ball Field - this will be ideal for special events - it will be a 20' x 13' stage - ideal for Canada Day, Canoe to the Sea, community events and concerts. Provincial Heritage and Culture has contributed to this project and we thank them for that. Please be careful with your children down around that area and have them stay back from the construction going on. Thanks again to Richard and his team. Today was a VERY Exciting Day for the MacInnis Trail – after 5 years of hard work by the Shubenacadie Community Development Association along with its name sake Dr. Ross & Madeline MacInnis this 2.2 km trail is complete. Dr. MacInnis stepped up to the plate to provide land for the trail along with other landowners that allowed the trail to cross their lands. Many of the MacInnis family, community volunteers, groups and organizations along with local Politicians were in attendance to celebrate this event. This was a truly community project bringing together groups, volunteers, business support and the three levels of Government to make it happen. As a Village we can be very proud of this wonderful asset in our community and thankful for the hard work and kind donation that made it happen. Take your family for a walk we can guarantee you will enjoy it. Atlantic Road Racing is hosting the National SUPER BIKE Championships this weekend at Shebenacadies Atalntic Motorsport Park. Race Teams and fans from across the country will take over the track and provide a wonderful weekend of Racing for all to enjoy. The Village of Shubenacadie Welcomes all that come to participate and watch this great event. Wow what a great Hay Days / Canada Day we had here in Shubie. It has taken a few days to catch our breath and then Arthur came to visit as well. There were many highlights of the day - kicking off wiht Breakfast at the Legion the Lions and Legion group did a great job as usual. The park set up this year was headed up by Richard Ashton and did he ever do a great job. There was great attendance and lots of things for people to enjoy and do. Some added features down there this year. The Parade was well done and our Town Cryer Anita Benedict was amazing walking and crying - I mean Town Crying in two parades in that heat - then she helped out with the opening exercises as well. The Classic Car Show headed up by Alan MacLeod was a big hit again this year and drew some wonderful cars from around the region. The United Church put on a great BBQ and their famous Strawberry Shortcake. Good job folks. The Tin Shop Museum wiht Marilyn Doucette who was also the honorary parade Marshall this year - had some fun things for visitors there as well. We introduced the Shubie River Rubber Duck Race for the first time this year - Keith & Leanne Julian coordinated the River activities to keep the ducks on track and catch them as they crossed the finish line. This Year Keith helped coordinated Indian Brooks participation in a number of the activities and that was very special including Chief Rufus Copage bringing greetings and the opening ceromonies. Heritage Baptist did a great job with their Kids Carnival and they had great participation. Neil & Christine Barr were involved in so many components including the Cold Plate Dinner, Sound System and for the band as well as Christine being Chair of the whole event. Thank you to both of them. The Concert wiht 10 - 2 - Midnight was a bifg hit again with about 800 attending by the time we got to the second half. The Fire Works were absolutely GREAT - Wayne Green and the Shubie Fire Brigade did a great job again. Hay Days / Canada Day are coming on Tuesday July 1st - We need some help doing a major spring clean up at the Park. We want the park to shine. We need to trim all around the Community Hall - the Pool Area - the Ball Field - the Playground - the Dock. We also need to have some additional financial contributions if you are able to help us cover the costs of this great event - donations can be dropped into the Tin Shop Museum - just say it is for Hay Days. We are working hard to get the Park ready for Hay Days / Canada Day. A very large tree floating up the river a few days ago got caught up under the floating dock in the Village. This happens quite often wiht smaller trees and when the tide changes they float back down the river. Well this one has been stuck for almost a week. We were trying to figure out how we could get it out of there. Well I dropped in to ask Shane and he immediately took action. Brought his Tow Truck down to the River. You should see him handle that machine. We worked on it for about an hour and he was able to pull it out - up on shore and out of the way. It is a big one and would make some wonderful River Wood for someone. We want to thank Shane for coming to our rescue and releasing the dock so it can once again go up and down with the tide as it is supposed to. We are so fortunate to have this facility in the Village. Your Hay Days Committee is working hard to get things ready for a great day Celebrating our Village of Shubenacadie and our Country Canada. This is a special time when we all come together to celebrate our freedoms and enjoy our community. You can help as well - we need Volunteers to help out with a variety of projects - if you are interested send us a note at info@shubie.ca - we are also doing fundraising to help cover the costs of all the great events - you can make a donation at the Tin Shop Museum - or call us and we will come and pick up your contribution - 902-758-4444. Live Councert in the Park - The Group "10 to Midnight"
4th ANNUAL STRIPED BASS DERBY! There was a great turnout at the Wildlife Park to witness Shubenacadie's Sam's prediction of an Early Spring. There was a big crowd and everyone had fun with facepainting - hot chocolate and all. The Wildrife Park did an excellent job hosting the event. The East Hants Town Cryer, Anita Benedict and Piper did a great job announcing the special event. Anita also assisted welcoming people at the Legion. The Shubie Lions and Shubie Legion combined their efforts to put on a great breakfast. About 200 people enjoyed the breakfast. The Tin Shop Museum was open for tours as well and the movie Groundhog Day was at the Community Centre. A special thanks to all who volunteered their time to help make it a great day. Thanks to Albert for his support for the promotional pieces. This will be a great day to Celebrate our Village and be together with Family and Friends. It was cool and windy Monday morning but that didn't deter the 500-600 residents that gathered at the Cenotaphe in the Centre of the Village to Remember our men and women in the Military. The Legion does a great job to organize and coordinate this service. Bob Smith from the Legion led the service - he read off the Honour Role - it was interesting to hear how many from our community gave their lives in service of this great country. Pastor Martin Reid from the Shubenacadie United Church prayed and brought words of encouragement to all that attended. He provided some interesting facts from the wars of the past that helped us better understand what these troops went through. One of the things I like to see at the end is veryone going up and placing their poppies on the Wreaths or in the flower boxes. Thank you to all that helped make this a special time for us and thanks to all that came. Even though the 2013 Hay Days and Canada Day events were spread over two weekends and dampened a little by the weather a GREAT time was had by all. Majority of events were delayed to Sunday July 7 and there was still very good trunout to all of the activities. Breakfast at the Legion was well attended and they had an Auction going on as well with many special items up for grabs. Classic Car Show - the car show was fun with a variety of vintage models coming from all across the Maritimes. The organizing team did a great job to pull this off after having to cancel July 1st. Big crowds wandered through the ground enjoyed the BBQ and the United CHurces Strawberry Shortcake. Hay Days Parade - with honourary Parade Marshal - Dr. Ross MacInnis - made its way through the Village to the delight of families lining the streets. There was a confilct with the change of dates wiht the Elmsdale Parade but Shubie still had a great showing. Well even with the challenges of the weather Chairperson Christine Barr - her committee and the litterally 100+ volunteers that helped in one way or another to put on a great event - to you we say THANK YOU - it was soooo much fun. This Saturday June 8 will be the Annual Shubie Park Clean Up Day - we encourage everyone to put this in your Callendar and come and enjoy the fun of making our community a better place to enjoy. We will need people to bring lawn mowers (tractors and hand mowers) weed whackers - shovels - hammers - rakes - we will do a general clean up and repair of littlethings needing to be done. We have also had a generous donation from Scotia Metal of new siding and roofing for the Ballfield Building - we need some people to come and take that project on and get it finished up. See you on Saturday - there will be refreshments availlable as well. The Hay Days committee is hard a work putting together a GREAT event for this year. Events and Activities will be going on June 20 and July 1st... You won't want to miss any of it. The committee is always looking for ideas and events as well. Please give us a shout. Braden enjoyed a GREAT year in 2012 - competing in 31 local ciruit races in Nova Scotia and New Brunswick. He had FOUR Feature WINS and multiple heat race wins throug the season. 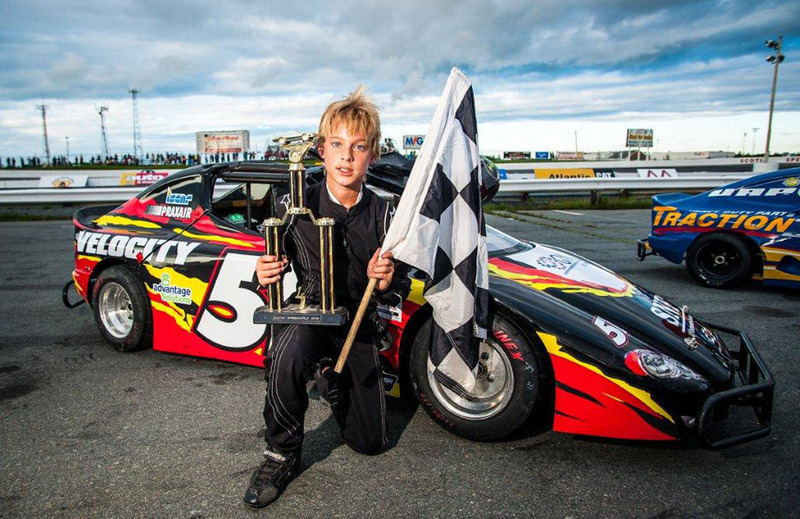 At the end of the season he was crowned INEX Canadian National Bandit Champion - this is amazing for a young racer from Shubie. The award was recently presented in Charlotte NC but Braden was unable to attend. 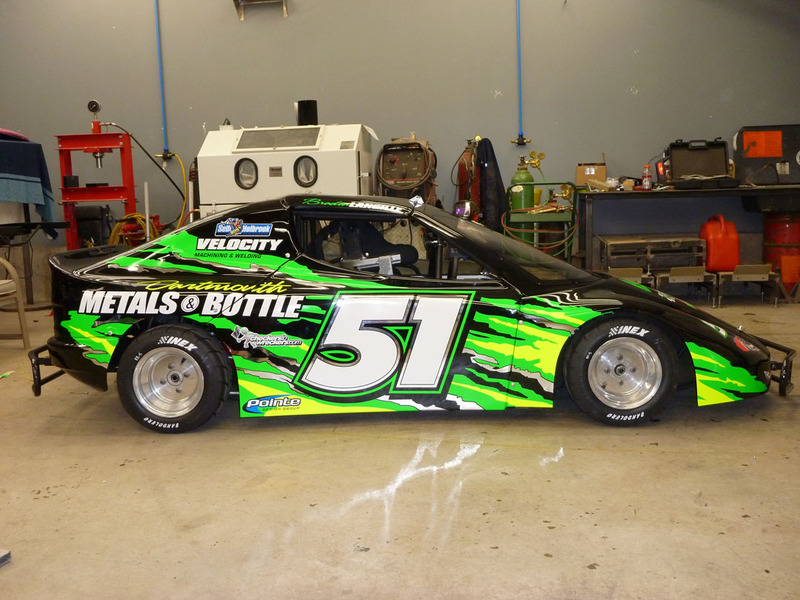 He and team leader Dad (Craig Langille) are getting ready for their first races south of the boarder. They are heading to Florida February 16th to run the Winer Nationals which consists of five straight days of racing. Braden will be running in the Bandit only class wich consists of kids 8 - 11. WOW what a crowd that showed up at the Shubenacadie Wild Life Park this morning to see if Shubenacadie Sam would see his shadow or not. Well it may have been -11 but the crowds were huge to come and Witness Sam's prediction. Early estimates had over a 1,000 people in attendance. There were treats, hot chocolate, face painting and of course the star of the show. A song made up for Sam to the tune of take me out to the ball game was sung and then - out came SAM... the sun was shining and Sam saw his shadow predicting 6 morte weeks of winter. With Groundhog Day being on a Saturday this year the Village of Shubenacadie got on board and the Legion put on a great Breakfast and service a couple of hundred happy diners looking to get into the warmth. They always do a great job. Also the Tin Shop Museum was open to welcome guses and share a little of our Village history with them. It was a GREAT Day... Thanks to all that helped. With Groundhog Day coming on a Saturday this year the Village of Shubenacadie is celebrating. We invite everyone to come out and enjoy the morning. You really couldn't miss it the new bright orange roof on the Community Hall. We were forntunate to get support from the Province to be able to do a number of upgrades to the Hall. Neil Barr has been overseeing the project and putting a lot of time and effort in it. The Haven Homes team has been doing a good job getting the roof on in rather tough weather. It is great to have the Hall in good condition and open to the public to be able to rent it for special occations. Our own Cody Anthony was chosen as one of the two Team Captains for Team Canada. In their second playoff game on Saturday Team Canada was able to defeat the US Team. They had had a lengthy rain delay so right after that game they had to play again - this time it was Australlia and they lost a tough battle 3 - 2. The winner of that game was guaranteed at least a bronze medal. So our Canadian boys ended up with a 4th place finish in the World Championships. Cody's mom Terry said "This Team made Canada very proud this week and I am very proud that my family could be part of it". "I also want to say how proud we are of Cody". We too would like to say how proud Shubie is of Cody Anthony and the whole Team Canada. What a great showing in this prestigious event in Argentina. Today is Remberance Day - the special day each year we remember those that have fought for the freedoms we enjoy. It is the day where we stop to honour our fallen soldiers and our troops in service. Shubenacadie will gather at the Cenotaph for a service. It is a warming ceromony as an honour guard marches through the Village, the crowd gathers to sing, pray, hear the traditional "In Flanders Field". The two minutes of silence is special as our thoughts and prayers go to those in the past and present. The laying of wreaths - it is great to see so many families, groups and businesses step up to be part of this. Then at the end everyone in the crowd brings their poppy up and pin them on a wreath... a see of red poppies soon appears. Thank you to all who help to put on this special event. Update from the Anthony's in Argentina. Cody and his Canadian Junior Mem's Fastpitch Team Canada finished 3rd in their pool. Since those games theyhave started play-off/crossover games. Canada beat Denmark 8-0 yesterday. Today Nov. 9th is a big one as they play USA at 3pm (2pm Nova Scotia time). “It’s a dream come true” Cody is with the Canadian Under 19 Junior Men’s Fast Pitch team at the World Fast Pitch Championships in Argentina. Proud Mom & Dad – Terry & Jackie Anthony were delayed by the Tropical Storm Sandy. They are flying out Nov 1st to be with Cody for this huge event with the Canadian Team. Cody was chosen for the National Team back in August and will represent Shubenacadie, Nova Scotia and Canada in this prestigious event. Cody made the team during tryouts in Kitchener, Ontario in August. He said this was one of the best experiences of his life… even though it was a tough grind it was great. He said after the camp he knew he had given it all he had. It was hard to get any sleep from the trip home and until the phone finally rang. When Tom Doucette gave Cody the word it was a great relief and exciting for the whole family. This once in a lifetime trip to Argentina will see the team in competition for 10 days. Jackie said they have already had several exhibition games to get ready for the Tournament. Shubenacadie wants to say – "We are very proud of what you have accomplished Cody and wish you every success this coming 10 days and for your future in the game". Well the weather held up and the turn out was quite good. The results are in and it was close but former Councillor Albert Flemming returns to represent Shubenacadie. He replaces Pam MacInnis who did a great job for the Village for the past four years. We look forward to the next four years and encourage Councillor elect Flemming to lead our community through a timeline of growth over the next four years. On behalf of the whole community we would like to thank each of the four candidates for taking the time and making the effort to run in this election. We are blessed to be in a country where we have the democratic right to have a say in who manages our Country - Province and Municipal affairs. Well today is Election Day in East Hants. We encourage everyone to get out and make your vote count. The Polling Station is at the Shubenacadie Community Hall. We have four worthy candidates that have made the effort to make themselves availlable to run - for that we thank each of them. Over the past number of years the area between the Ball Fields and the River has been getting wetter and wetter. When the river floods over the banks on a high tide or we get large amounts of rain it hasn't been able to drain out to the river. It has been eroding the shore line and creating a couple of swamp areas. There are several sink holes that had become dangerous. In discussion with inovator owner of Halifax C&D Dan Chassie we shared our problem and concern. He shared that he had a solution using his TDA - Tire Derivitive Aggregate - that will allow water to flow through it but holds up the grass and topping. Hank Kolstee a retired Tidal Drainage expert with the Province designed what was needed and how to do it. Dan Chassie offered to do the whole project as a contribution to the Village of Shubie. The Project is valued at over $20,000 for all the work that is being done. They have dug a trench 6' deep - 12' wide from just by the Lift Station all around to the trial to the Floating Dock. The trench was gilled with the TDA product - next it is covered with filter cloth - then soil put back over the TDA - leaving a strip 4' wide that will be covered with 1" clear stone. The site will then be shaped to take any flow from the ball fields and or the river to this trench. The whole trench then drains to a pipe at the end that will connect with an Abeteau - a flap that will open to let water out when the tide is out - close to protect tidal water coming up the pipe when the Tide is in. This will be a showcase of this newer technology and will make a huge difference to the park. We hope to be able to have picnic tables by the river next summer. The project is expectied to be finished up next week if the weather holds up. Mr. Chassie is a partner in Scotia Plastics that donated the piping, owns Halifax C&D that has donated the TDA product, the trucking, the construction equipment, the abeteau. Earlier this spring one of his other companies donated new metal Siding and Roofing for the Ball Field building - that project is planned to be completed this fall or in the spring. We would like to offer a VERY SPECIAL THANK YOU to Dan Chassie and his team. The Good News Is... we can have the enjoyment and safety of our sidewalks as well as the beauty of our trees. We are hoping construction will be done this fall. If it is anything like Elmsdale people will come out and enjoy this new walking area - connect to the trails as well. Atlantic Motorsport Park will be welcomiong Racers and Race Fans from across the country for another weekend of Canadian National Super Bike Champioonships. Everyone is welcoming to come and enjoy this GREAT weekend of RACING. This is exciting news we have Marlene Custance the "Story Hunter" coming to Shubie to chat with residents about the history of our Village. She is starting this Thursday July 11 visiting with a couple of Shubie legends - Dr. MacInnis and Gerry Williams. If you would like to be part of this and share some stories please let us know at Shubie.ca. The Village of Shubenacadie has some very interesting stories that need to be shared. It was great on the hot Sunday July 1st to have the Shubie Park Wading Pool open. It is now open for the season for kids to enjoy. There is no admission to enjoy this cooling little pool in the park. They are always appreciative of donations. Come and enjoy this great little pool in behind the community centre. Does it get any better than this past weekend. There were over 100 volunteers in so many groups and organizations that worked so hard to put together a wonderful weekend of activity for Shubenacadie's Hay Days / Canada Day Celebrations. There were many families and businesses that contributed to the event as well - to each of you we way a big THANK YOU. Saturday Evening there was a group of local musicians who played to the enjoyment of people gathering in the Hall for a Coffee House. Saturday morning a huge turn out for the Legion's Breakfast - sounds like we ate them out of house and home - well at least out of eggs but quickly they got more. Great job to the team at the Legion. It was great to see the community Churches come together to host a wonderful Canada Day Worship Celebration. There was great music and some interesting personal stories from members of the different churches. The Parade was one of the best in recent years. There were so many new and interesting floats and people in the parade - some groups came from out around the area - there was a lot of work put into these floats. Shubenacadie Emergency and Fire Services - long time member Kevin MacDonald received a Plaque for the Brigade in honour of their 60 years of community service. The Classic Car Show was a big hit again with 100+ cars - this is always a highlight of the weekend - the BBQ and Strawberry Shortcake sold out as usual. The afternoon at the park had a variety of activities with Bouncy Toys - Wading Pool - Dunk Tank - Booths - Tug of War which the Famers / Farmhands won this year and took home the Milk Can Trophy. In the evening the Blue Jam Grass Band provided a wonderful eveniong of music - they entertained a good size crowd that kept growing as the crowd came for the fire works. As part of the community we would like to give a VERY LARGE - THANK YOU - to the Hay Days organizing committee - the many workers that did everything from cleaning washrooms to cutting grass to serving in one way or another. Over 100 volunteers committed to making this one of the BEST Hay Days / Canada Day Celebrations ever. You will see a schedule on the poster. Things get started Saturday night at the community hall with Live Music - it will be Coffee House Style - drop in and enjoy an evening of music. Our local Ministerial team gathered for a BBQ supper in part to bid farewell to Rev. Dale Crawford as she retires from the United Church pastorate this month. The ministerial team has been meeting together for some three years. We usually meet once per month in various locations. It has been a time of building relationships within the Christian leadership in our area. We come together to share and to pray for one another in the corridor community. With Hay Days / Canada Day coming quickly we are calling on all residents to come down to the Park Saturday June 23 - 8:00am - 11:00am. We need a group to come and help us make sure that everything looks good for our Hay Days / Canada Day Celebrations. Please pass on the word and come on down Saturday. The Tin Shop is still accepting donations for Canada Celebrations... if you can help drop in please. This Sunday June 10 will be the Canoe to the Sea Event. Everyone is encouraged to be at the Shubie Park by the River by 11:00am to make sure you are registered. Spectators and especially those that cheer loudly will be welcome. High tide will be right around 12:00n so the boaters will be in the water and ready to go when the tide starts moving out. This is the first year in some time that they are Starting in Shubenacadie and paddling all the way to Maitland. Spectaotrs will be able to see them off - then again on the South Maitland ovservation deck and then at Maitland. So I will have to have do something to thank the village; this is quite an honour. It brought tears to my eyes when I saw it for the first time! We are leaving Italy today, enroute to Switerzerland for the World Cup regatta. Races (heats) begin on Friday with the finals on Sunday. Lindsay and I are ready and rearing to go!!! Have you seen the great job that has been done on our Village Welcome Signs. The Shubenacadie Community Development Association took the lead on this project and have done a GREAT job. The addition of honouring our own Olympian TRACY CAMERON is a great addition as well. With Tracy competing in the London 2012 Olympic Games the timing couldn't be better. Again we thank the SCDA for this effort. Allan MacLeod Jr. was pleased with all of those that worked so hard on this project. George Searle, Joe Van De Riet, Tim & Shirley Peach as well as Wayne Langille. Jennifer Marlow prepared the wonderful Tracy Cameron additions and we thank her for that. Great job to all of your that helped. Thanks from all of us. They also coordinate the Flower Baskets along Main Street, the MacInnis Trail and MacCools Park. We appreciate very much all of their efforts. We would like to thank each one of you that came to help today. We would like to encourage more volunteers from Shubie over the next number of weeks as we are working on some more projects around the Park. Each year the Hall & Grounds Committee invites residents to come and help out with a big morning clean up of our Shubie Park by the River. We invite you to come and bring the whole family. We will have lots of projects for people to work with. Come and be part of this exciting day - spend time with your neighbours and community. How exciting is this for our Village - our own Tracy Cameron had a couple of injuries lately with broken ribs and there was some question whether she would be able to compete in the London 2012 Olympics. It all came down to one heat today April 24, in BC where she had to qualify - one race after training so hard for 4 years - and she did it.... way to go TRACY!! She will be competing in the 2 person boat and we are looking for another metal. Tracy's Grandma still lives in the area and we congratulate her on such a fine upstanding young lady of a granddaughter. Tracey is not only a great athelete but also a wonderful person - we could not ask for a better representative of our Village.